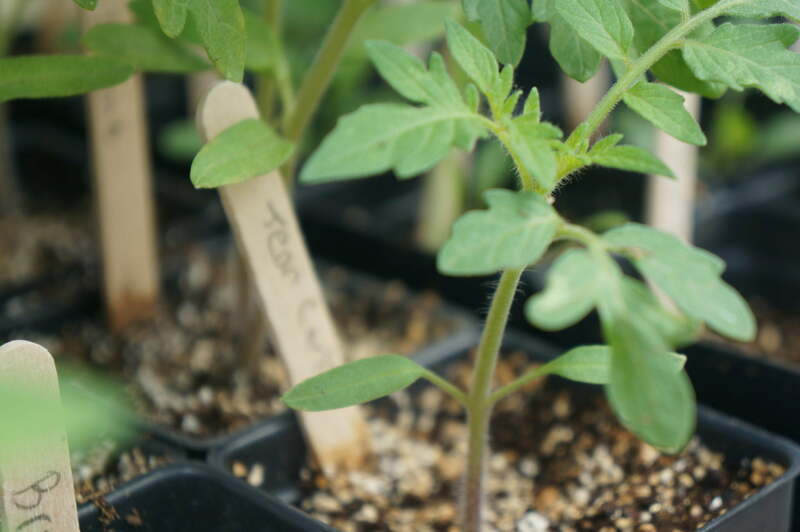 Seventeen students from the high school taught a mini lesson on growing plants. They talked about what plants need and how to start a plant from seed. Each kindergartner was able to make a “flower necklace.” They worked with the high school students to put seeds in a small bag with some water and a paper towel. They made predictions on whether the seeds would grow this way or not. After making the flower necklaces, they worked together to plant a variety of plants in our garden beds. They planted spearmint, tomatoes, and lettuce. 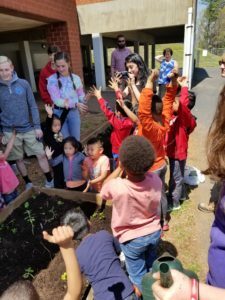 The kids were so excited to plant in the garden beds! They were able to help dig holes, cover the plants, and water them. The kindergartners were extremely focused during the entire lesson and soaked up everything the high school students said. The high school students had a ball teaching the kindergartners. It was amazing the see the positive interaction between all the students! Hear from the students, teacher, and cafeteria manager during a cafeteria taste test here.